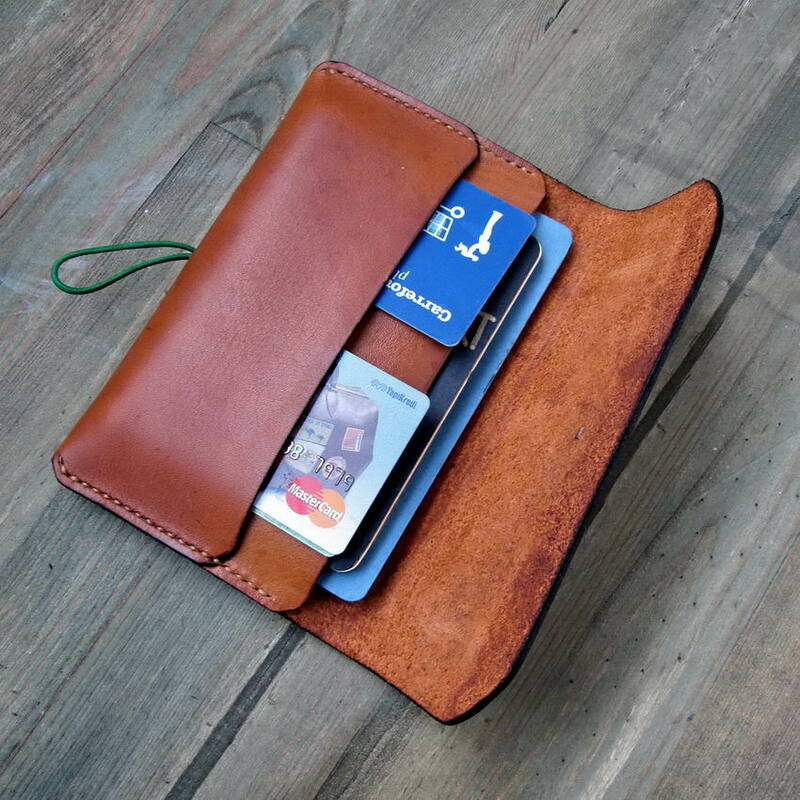 Aniki Patara is a stylish multi purpose leather wallet designed on a base idea of holding notebooks, passport and paper documents of daily life or traveling. 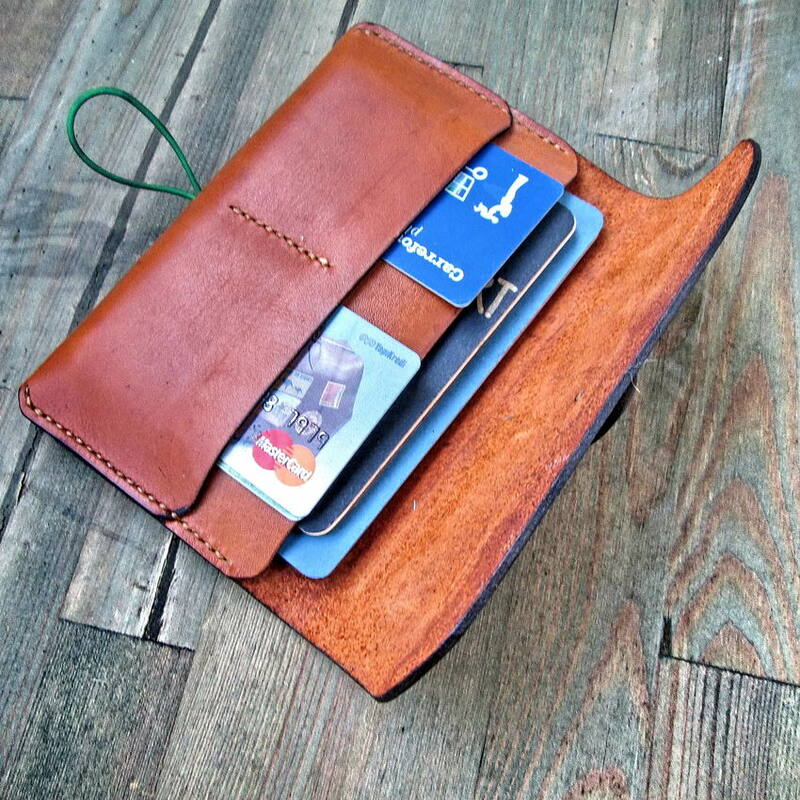 Its a more developed and longer cover versus of Aniki Plura notebook bag wallet. Aniki Patara can accept two pcs. of A6 size notebook, +passport, cash, credit card, pens and documents. Two separate divison for credit cards. 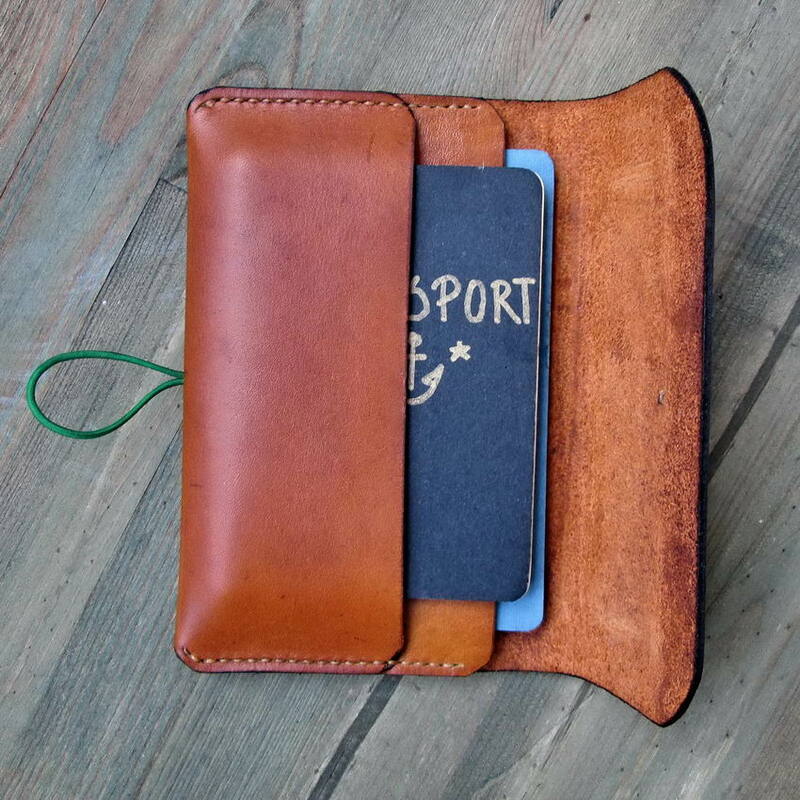 It holds safely the content by an elastic with the help of elegant front cover leather button. Grace of this closure system you can ajust its size depending the content. 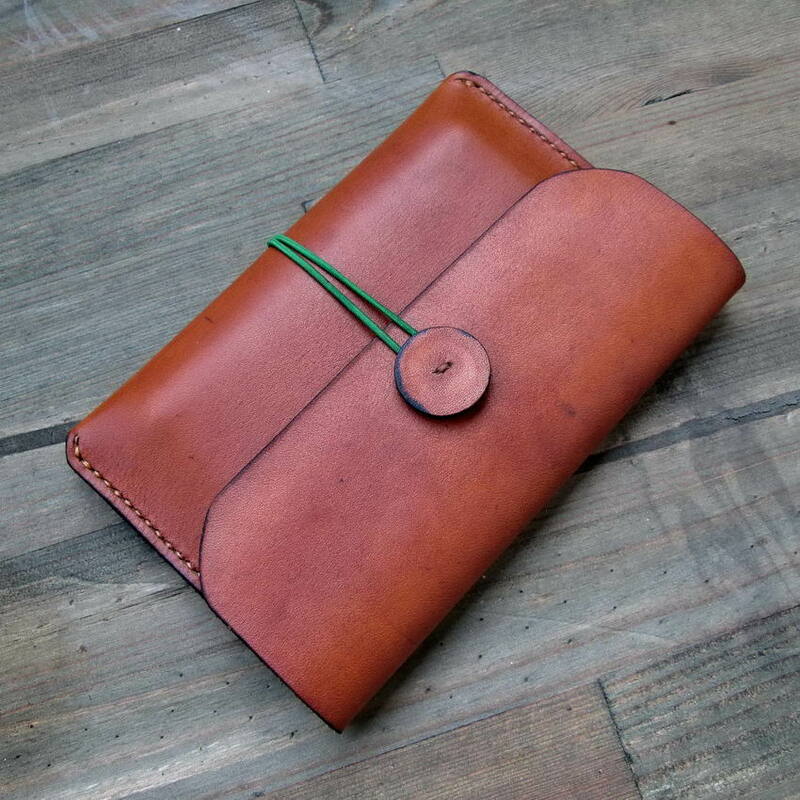 This special order leather notebook&document bag can be tailored in a desired size depending your request. Dimensions 17 x 11,5 cm. minimum size. Front cover is expandable from 11,5 cm. to 13,5 cm. max. Can be made a little shorter or longer depending customer request. Customized sizes will be priced separetly by contact with us. Capacity Please see the images. Exclude Shipping Cost. Fountain pen and notebooks shown in the picture. All materials not are the part of the product shown here are for demonstration purposes only.